Can we say Otellini dropped an Atom news bomb? No? 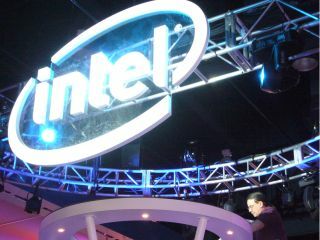 Dual-core Atom processors for netbooks could be coming soon from Intel, according to the company's president Paul Otellini. Intel has had its best start to the year ever, with a huge increase in profit showing that the economic difficulties have not stopped people investing in their computers. Speaking as the results were announced, Otellini said: "the next innovation coming out on Atom is dual core, which comes out in the second quarter." With dual-core Atoms already being used in small media computers or nettops, to merit such an announcement it seems likely that the forthcoming chips are for netbooks. Intel announced a 400 percent increase in year-on-year quarterly profit, raking in $2.4 billion (£1.55bn) and producing a profit of 43 cents a share – significantly more than analyst predictions. The company cited that it was huge growth in its mobile microprocessor revenue that was responsible for the good news. Of course, Intel's Atom chips remain dominant in the burgeoning netbook market, and the company has traditionally been very strong in laptops, despite competition from rival AMD. Intel is also looking forward to some key additions to its offering in the coming months, including the Moorestown platform and the dual-core Atoms that have got the mobile computing world humming.